Messenger Communication: 7 Hacks for Successful Customer Service via WhatsApp & Co.
Home » Customer Service » Messenger Communication: 7 Hacks for Successful Customer Service via WhatsApp & Co.
Messenger communication is getting more and more popular. Messaging apps like WhatsApp or Facebook Messenger are gaining relevance and attention as a channel for customer communication, in contrast to the fading glory of e-mail and social media. What are the important factors for successful messaging app customer service? In 2018, MessengerPeople and German research institution YouGov conducted a representative study assessing how consumers feel about customer service via messaging apps. As part of the study, MessengerPeople used extensive internal data from over 1,600 customers worldwide to develop a series of customer service tips, to help companies offer the best possible customer care via WhatsApp and Co. These seven hacks for successful, professional customer service using the WhatsApp Business API, Apple Business Chat, Viber, Facebook Messenger & Co. are recommendations based on the analysis of over a billion messages sent between August and September 2018, spanning across a variety of industries and use cases. “Each company should develop their own strategy by analyzing their KPIs and adjusting their own messenger communication to their target group.” Matthias Mehner, Chief Marketing Officer at MessengerPeople. 7 Hacks for Professional Customer Service on Messaging Apps like WhatsApp, Apple Business Chat, Viber, Facebook Messenger & Co. Customer service is unfortunately not always actually providing service to your customers. We’re all familiar with long waiting times in telephone hotlines, or emails that say nothing … “Thank you for contacting us. We have received your email and will be in touch.” This type of customer care is distinctly unmodern, and shows a lack of respect and appreciation for customers. The goal of customer communication is to make the customer want to return to your business! Customer Centricitiy, Customer Satisfaction, Customer Service, Customer Care etc. – companies have to be committed to engage with their customers and resolve their issues with interest, competence, and timeliness if they want their customers to stay loyal. The results of the MessengerPeople and YouGov study show that consumers are making a more conscious choice than ever about how to communicate with companies, and that they are choosing deliberately to do so over messaging apps. Now companies need to learn how to best offer effective customer communication over these channels. Free knowledge? Click here for our library of customer communication Whitepapers. 1. Customer service on WhatsApp & Co. – it’s all about quality! Asynchronous commnication: this is the greatest advantage of messaging app customer service. For the customer it’s great because the entire inquiry history stays in one place, so they can come back to it whenever they have time – unlike a phone call, for example. This also offers the company a chance to make sure the inquiry is directed to the most suitable employee. And because the customer can send a message and go about their day while waiting for a response, the inquiry can be properly assigned without the customer being redirected to a variety of different extensions or waiting impatiently on hold. 2. Time is money – faster answers make for happier customers. When customers use messaging apps personally, we’re writing and receiving answers all day, every day. When they communicate with a company on this channel, especially about a problem, they’re naturally expecting a fast response. Companies and clients share the same goal: quick and successful issue resolution. With our new Messenger Communication Platform specifically designed for customer service over the leading global messaging apps, companies can optimize their service quality – for example, by using pre-set answers that allow employees to answer multiple inquiries with the same response, saving time and energy. The recommended (and for WhatsApp, enforced) response time is 24 hours. Already intrigued? Try the Messenger Communication Platform yourself. 3. 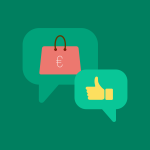 Messaging app customer service: integrate WhatsApp into your current portfolio! The Messenger Communication Platform is the first professional ticket system made specifically for messaging app customer service, and fully in compliance with data protection regulations. 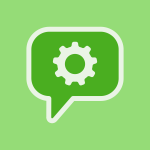 It makes seamless integration possible: you can connect your messenger service into your CRM system via API and easily integrate messaging apps into the rest of your customer service infrastructure. If you’re interested in learning more, you can take part in one of our free Webinars. These include a live product demo, the backstory on the rise of messaging apps for business communication, and tips and strategies. 4. Unlike e-mail…you don’t have to be formal! A company offering customer care via messaging apps is nestled in between messages from the customer’s friends and family. Make sure to behave like it! Keep an informal tone – 95% of users use emojis and prefer a casual tone. Companies can win trust by putting formality to the side and engaging with their customers in an authentic way. 5. Get creative with multimedia explanations. WhatsApp & Co. offers the companies the option to use different media formats for their customer service. Everyone is familiar with these capabilities — sending and receiving GIFs, pictures, videos, voice messages, etc. These can be a huge benfit in customer service, and can help employees answer complex questions visually or in more detail. Another convincing point is that using multimedia brings companies closer to their customers by communicating with them in a more natural and approachable way. 6. The ideal messaging app customer service offers automation + expertise. An exhausting number of customer inquiries are constantly repeated. For resolving these common problems, Virtual Customer Assistants (or Chatbots) can help, saving employee time and company resources. What advantages make automation so attractive for companies, specifically for customer service? Chatbots never forget. Your customer no longer have to repeat their order number several times. To return to oft-repeated questions: the optimal way to handle this is using a hybrid solution. This means using a Virtual Customer Assistant – but one who is able to hand over the conversation to a customer service agent if things get complicated. The Chatbots can handle first level support that can be easily standardized. 7. 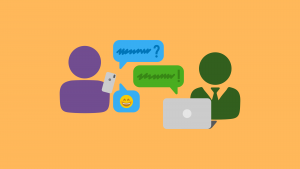 The most important part of any customer care – customer feedback! When companies don’t understand their customers and their needs, it’s hard to appropriately meet them and sustain a good relationship. The easiest way to learn more about your customers is to ask. And this is really easy to do over WhatsApp, Facebook Messenger, Viber, etc. 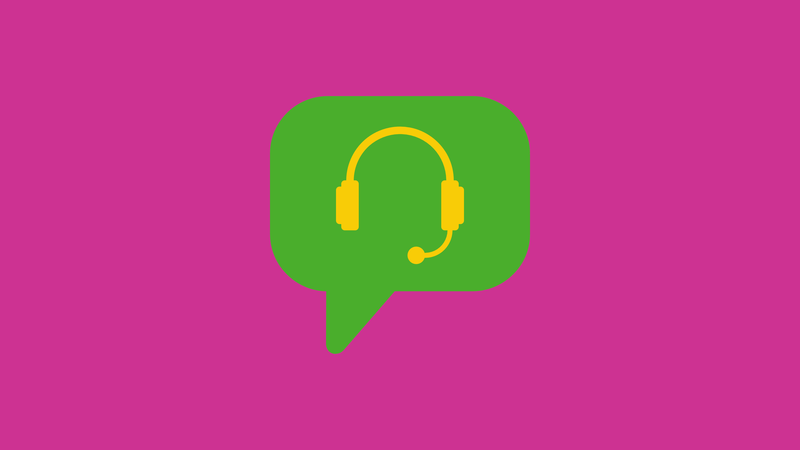 Messaging app customer care is much more than complaint management. It’s a great way to conduct surveys, engage in 1:1 dialogues, collect feedback, and offer your customers great quality care on the channel that’s most convenient for them. 14 day non-binding free trial!